Onyx stone is a fine Gemstone known since Greek and Roman times. 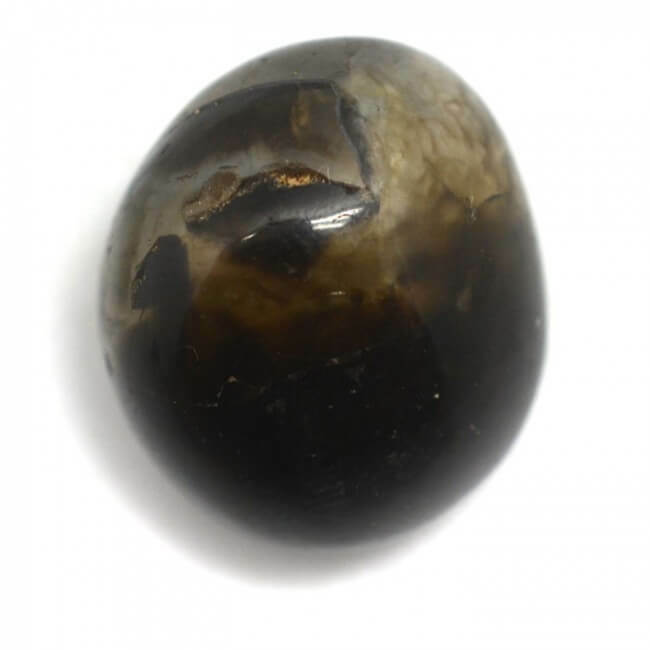 Its name evokes the mythological legend that this gem was born from the nails of the goddess Venus: onyx means "nail" or "claw" in ancient Greek. Varieties of chalcedony, the onyx and its cousin the sardonyx were stones well known for their Silver Jewelry engraving uses. Onyx is a variety of agate, which is itself a variety of chalcedony: from the family of quartz, this mineral was used in the Neolithic for the manufacture of tools. Onyx, on the other hand, is a "ribboned" gem, that is to say formed of circular and concentric bands. It is this property which differentiates it from agate, the layers of which are formed by successive and linear deposits. The onyx stone has several variants: sardonyx, with colored bands of red-brown color, and nicolo whose layers range from dark blue to white. With its strips of different colors, the onyx was considered by the Romans as ideal for the size of cameos (stone engraved in relief) and intaglio (engraved in hollow to serve as seal mainly). Besides, sardonyx was very popular for this last use because it had the advantage of not keeping any trace of wax. The cameos represented famous scenes of mythology, engraved in the emblematic onyx stone itself. Its finely stratified structure refers to the requirement, the will and the organization; It directs thought to the concrete. Thus, onyx would have several virtues on the physical, mental and emotional: stone of stability, it is associated with the root chakra which (as its name indicates) anchors the individual to the Earth and to the "here and there" now". This gem is therefore recommended for people who have trouble living the moment. As a guarantor of equilibrium, it would give its owner a foothold and thus help to overcome some traumatic traumas both physically and psychically. As an ornamental stone, onyx is appreciated on a ring or bracelet, often associated with silver. Do you know the pink onyx? The manganocalcite, nicknamed onyx of Peru because of its resemblance to the "straté" aspect of the black onyx, is a milky pink stone also used in lithotherapy. Although it is not a fine stone like onyx, it comes close because calcite and chalcedony have a relatively similar composition. Formed of dolomite and manganese, the pink onyx is sometimes fluorescent making it an interesting piece for collectors. It would have the virtue of appeasing the heart and the resentments, of helping forgiveness and of calming certain temperaments, especially the grumpy ones!